Draft: 2011, St. Louis Cardinals, 2nd rd. Single ... Twitter: @Tilson4 … Instagram: @tilson4 ... Is a 2011 graduate of New Trier High School in Winnetka, Ill., where he was named Illinois Gatorade Player of the Year as a senior after batting .406 with 41 runs scored and 28 steals ... Also played football in high school ... Signed a letter of intent to play college baseball at the University of Illinois before being drafted. Split the season between Chicago and Class AAA Charlotte ... Appeared in 41 games, including 32 (28 starts) in left field and five (four) in center with the White Sox ... Went 26-90 (.189) vs. right-handers, compared to 2-16 (.125) vs. left-handers … was 8-26 (.308) with RISP ... Was recalled from Charlotte on 5/24 … made his season debut that day vs. Baltimore, going 0-3 as the starting left fielder ... Recorded his first hit of the season on 5/25 at Detroit, and first career multihit effort and RBI on 5/28 at Cleveland ... Hit safely in seven consecutive games from 6/10-16 (.391, 9-23), including his first major-league triple on 6/13 vs. Cleveland … recorded a career-high three hits on 6/19 at the Indians ... Drove in the White Sox only two runs in a loss on 7/10 vs. St. Louis … marked his second career multiRBI game ... Was optioned to Charlotte on 7/18 for the remainder of 2018 ... Appeared in 49 games (49 starts) in center field, 17 (16) in left and one as the designated hitter with the Knights ... Batted .345 (19-55) vs. left-handers, compared to .219 (47- 215) vs. right-handers … hit in the No. 1 or 2 spot in the lineup in every game with Charlotte ... Was successful on 10-12 (83.3 percent) stolen-base attempts ... Recorded four multihit efforts in a span of six games from 5/8-17, and three straight multihit efforts from 5/22-7/20 ... Drove in three on 8/10 at Rochester and 8/26 vs. Gwinnett ... Entered the season ranked by MLB.com as the No. 16 prospect in the Chicago organization. Missed the season due to right foot and right ankle injuries ... Did not play in the spring due to a stress reaction in his right foot … opened the season on the 10-day disabled list (retro to 3/30) … was transferred to the 60-day disabled list on 4/22 ... Was diagnosed with a stress fracture of the navicular bone in his right ankle on 6/30 … was reinstated on 11/2 ... Played for Glendale in the Arizona Fall League, going 6-32 (.188) with two doubles, four RBI, seven walks and one steal. Played in a team-high and career-high 134 games at Springfield (AA), starting 128 in centerfield…Selected to the Texas League All-Star Game North Squad. Started in centerfield, batted second, and was 3-for-5 with three RBI and a stolen base. Also named Texas League Post-season All-Star…Led the Texas League in stolen bases (46), hits (159), triples (9) and at-bats (539)…Ranked among Texas League leaders in batting (.294, 9th), games played (134, T3rd), runs (85, 3rd) and toughest to strikeout (1 SO/8.25 PA, 4th)…Led all Cardinals minor leaguers with 85 runs scored and 159 hits. Ranked among Cardinals minor league leaders in triples (9, 3rd) and stolen bases (46, 2nd)…Tied for the Texas League high with an 18-game hitting streak from July 8-26, batting .347 (26-75) during the streak. It was one of his three hitting streaks of 12 games or more during the season…Reached base safely in 27 straight games from June 27 to July 26 totaling a .415 on-base percentage, tied for the 4th-longest streak in the league…Scored in five straight games twice during the season (7/11-16 & 7/29-8/2)…Had two four-hit games, both at Frisco (5/26 & 8/14), while collecting 41 multi-hit games and 16 games with two or more runs…Ran off eight games with two or more stolen bases including a season-high three thefts vs. Tulsa (5/21)…Led Texas League outfielders in total chances (333) and putouts (316), while ranking T6th with 10 outfield assists…Played in 15 games for Surprise in the Arizona Fall League. Batted .203 with 14 runs scored and was 4-for-4 in stolen base attempts with nine walks. Combined to hit .289 (147-509) with 12 doubles, nine triples, seven homers, 53 RBI, 73 runs scored, 12 steals and a .333 on-base percentage over 120 games between Class A Palm Beach and Springfield ... Began the season with Palm Beach (89 games) before being promoted to Springfield on 7/22 … was selected to the Florida State League mid and postseason All-Star teams ... Tied for the FSL lead in triples (eight) and ranked second in average (.308) … started the FSL All-Star Game in center field ... Was selected to play for Peoria in the AFL but did not participate due to a foot injury ... Entered the season rated by Baseball America as the No. 9 Prospect in the Cardinals system. Spent most of the season with Class A Peoria (100 games) and also appeared with Palm Beach (nine games) ... Combined to hit .302/.352/.388 with seven triples, four home runs, 30 RBI, 15 stolen bases, 50 runs scored and 30 walks over 109 games between Class A Peoria and Palm Beach ... Batted a season-high .330 (30-91) with four triples, two home runs and seven RBI in August … recorded his first career multihomer game on 8/15 at Wisconsin ... Entered the season rated by Baseball America as the Fastest Baserunner in the Cardinals organization. Missed the entire season due to a separated right shoulder suffered attempting to make a diving catch during an extended spring training game ... Was rated by Baseball America as the Best Defensive Outfielder in the Cardinals system. Made his pro debut with Gulf Coast League Cardinals and Advanced Rookie Johnson City, going 9-27 (.333) in eight games ... Was signed by Kris Gross (Cardinals). January 22, 2019 Chicago White Sox invited non-roster CF Charlie Tilson to spring training. January 16, 2019 Chicago White Sox sent CF Charlie Tilson outright to Charlotte Knights. January 10, 2019 Chicago White Sox designated CF Charlie Tilson for assignment. October 1, 2018 Chicago White Sox recalled CF Charlie Tilson from Charlotte Knights. July 18, 2018 Chicago White Sox optioned CF Charlie Tilson to Charlotte Knights. May 24, 2018 Chicago White Sox recalled Charlie Tilson from Charlotte Knights. March 6, 2018 Chicago White Sox optioned CF Charlie Tilson to Charlotte Knights. November 2, 2017 Charlie Tilson roster status changed by Chicago White Sox. October 26, 2017 CF Charlie Tilson assigned to Glendale Desert Dogs. April 22, 2017 Chicago White Sox transferred CF Charlie Tilson from the 10-day disabled list to the 60-day disabled list. Stress reaction in right foot. April 2, 2017 Chicago White Sox placed CF Charlie Tilson on the 10-day disabled list retroactive to March 30, 2017. Stress reaction in right foot. October 3, 2016 Chicago White Sox activated CF Charlie Tilson from the 15-day disabled list. August 3, 2016 Chicago White Sox placed CF Charlie Tilson on the 15-day disabled list. Strained left hamstring. August 2, 2016 Chicago White Sox recalled CF Charlie Tilson from Charlotte Knights. July 31, 2016 Chicago White Sox optioned CF Charlie Tilson to Charlotte Knights. March 14, 2016 St. Louis Cardinals optioned CF Charlie Tilson to Memphis Redbirds. November 19, 2015 St. Louis Cardinals selected the contract of Charlie Tilson from Springfield Cardinals. March 11, 2015 CF Charlie Tilson assigned to St. Louis Cardinals. July 22, 2014 CF Charlie Tilson assigned to Springfield Cardinals from Palm Beach Cardinals. March 14, 2014 OF Charlie Tilson assigned to St. Louis Cardinals. August 24, 2013 CF Charlie Tilson assigned to Palm Beach Cardinals from Peoria Chiefs. June 26, 2013 Charlie Tilson roster status changed by Peoria Chiefs. June 16, 2013 Peoria Chiefs placed OF Charlie Tilson on the 7-day disabled list retroactive to June 13, 2013. May 31, 2013 Peoria Chiefs activated OF Charlie Tilson from the 7-day disabled list. May 22, 2013 Peoria Chiefs placed OF Charlie Tilson on the 7-day disabled list retroactive to May 21, 2013. 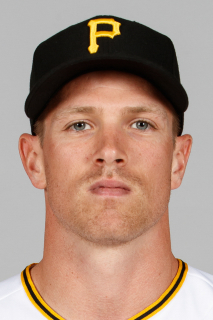 March 31, 2013 OF Charlie Tilson assigned to Peoria Chiefs. March 9, 2013 OF Charlie Tilson assigned to St. Louis Cardinals. August 25, 2011 OF Charlie Tilson assigned to Johnson City Cardinals from GCL Cardinals. August 17, 2011 Charlie Tilson assigned to GCL Cardinals. August 15, 2011 St. Louis Cardinals signed OF Charlie Tilson.